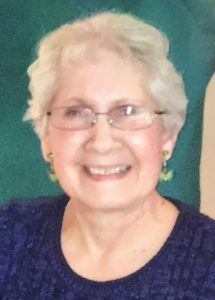 Marianne DiLuzio (nee Albanese), 67 of Tappan, originally from Northvale, died on Thursday, September 20, 2018, surrounded by her family and friends. She is survived by her husband of 45 years, Michael, and their daughter, Kristina. She is also survived by her sisters and brothers-in-law, Kathleen and Robert Miller of Tappan, Denise and Robert Wagner of River Vale, and Linda and Kenneth Kraus of River Vale. Marianne also leaves behind many cousins, nieces, nephews, friends, and neighbors whom she loved very much. She is predeceased by her parents Flora and Joseph Albanese of Northvale. Marianne was known for her generosity and sense of humor. She loved to travel and spend time at the beach, to take photos, and to celebrate the holidays. Marianne was blind and throughout her life faced many serious health issues. Despite this, she had an optimistic outlook on life which served as an inspiration to all who knew her. During her last hours, she thanked her family and friends for all their help and companionship and wanted everyone to remember to enjoy themselves and live life to the fullest. A Funeral Mass will be celebrated Monday 12 noon at St. Anthony’s RC Church, Northvale with interment to follow at Rockland Cemetery, Sparkill. Visiting hours are Sunday 2-6 pm at Pizzi Funeral Home, 120 Paris Ave, Northvale (201-767-3050). Donations in Marianne’s memory to St. Jude’s Children’s Hospital, www.stjude.org, would be greatly appreciated.